Stuttgart is one of the largest cities in Germany. It is the capital of the German state Baden-Württemberg. The city is well known throughout the world for its wonderful scenery such as the hills, parks and valleys. It is also among the most industrialised cities in the whole of Europe. Despite this, the greenery of this city can surprise the tourists. Thousands of people come every year to Stuttgart to see some of the most beautiful sites in Germany. Party lovers will cherish the memories of this amazing city forever as the nightlife is simply great here and it is a great place to make the most of the freedom that car rental provides. Accommodation is not a problem in Stuttgart. There are various world class hotels here providing excellent quality hospitality services. Furthermore, it is also a great destination for business people from all over the world. There are various restaurants which are famous for their delicious food. The major attractions of the city consist of the Mercedes Benz Museum, the Laboratorium, Königstraße, the Altes Schloss, Jubilee Colum, New Castle, the Palace Garden, the Wurttemberger State Theatre, the Porsche Museum and many more. All of these places can be visited by tourists through the various car rental options that are available. Bad Cannstatter Volksfest is a beer festival of the city where you can enjoy various fun amusement park rides and delicious food. Many tourists also like to take a tour of the Mercedes Benz Museum, which is well known around the world for featuring some of the oldest cars. Alternatively, Wilhelma Zoo is home to more than 8,000 animals and is also popular for its Moorish style of architecture. This is a popular attraction for families and is a great day out. Those who love to enjoy their evenings with some music and entertainment can visit the Laboratorium, which is quite popular among visitors to the city for its American style tunes and home grown bands. There is a lot for the shopaholics in Stuttgart. Königstraße, the most popular shopping street of the city, offers excellent shopping facilities. From the top of the Stuttgart TV Tower, tourists can check out some panoramic views of the city and the vineyards of Neckar Valley beyond. The Stuttgart State Opera offers tourists to spend a night while enjoying different classic plays. In addition, the river cruises will also be a memorable experience for the tourists who want to visit this charming city. 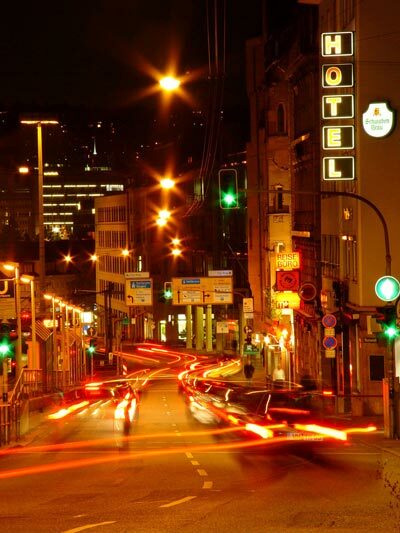 Stuttgart car rental is a great way to explore the city without compromising on style and comfort. Most major car rental agents in Stuttgart Airport offer one way rentals. One-way rental is when you collect the car in one place and return the car in another location. In most cases the car rental agent will charge an extra fee if you wish to return the vehicle at a different location. In the terms and conditions will state if the one-way fee is included in the rental price. If the one-way charge is not included in the rental price, the one way charge needs to be paid on arrival directly to the car rental agent. Rentalcargroup.com compares car rental prices for Stuttgart Airport). We work with many car rental companies so the quality of the cars is guaranteed. This way you will be sure to get a rental car that suits you the best and for a competitive price. Last month, the average car rental length at Stuttgart Airport was 7 days. The average rental car length at Stuttgart Airport is 6 days. The most booked rental car type currently at Stuttgart Airport is ECONOMY cars. Last year, the most booked rental car type at Stuttgart Airport were MINI cars. How much does it cost to rent a car at Stuttgart Airport? Last month, the average car rental price was 314 USD. Last year, how much did it cost to rent a car at Stuttgart Airport? Last year, the average car rental price was 215 USD. What is the current average daily price to rent a at Stuttgart Airport? Last month, the average rental price was 46 USD per day. How much did it cost to rent a car at Stuttgart Airport over the past 12 months? Last Year, the average rental price was 34 USD per day. The car rental companies available at Stuttgart Airport are: Alamo, National, Enterprise, Interrent. See below last 5 customer reviews. Our customers rated Stuttgart Car Rental with an average of 9.33 based on 3 ratings. Best deal on a super-fun fiat 500 rag-top. easy pick up at the airport and drop off at train station for no additional charges. super friendly customer service- will use again! Great car, only down side is the damage check is signed at the desk before you view the car.rni discovered a nasty windscreen stone chip which wasn't listed upon collection. impossible to go back to the terminal to shoe the oversight. I hire a small company. i strongly recommend it.